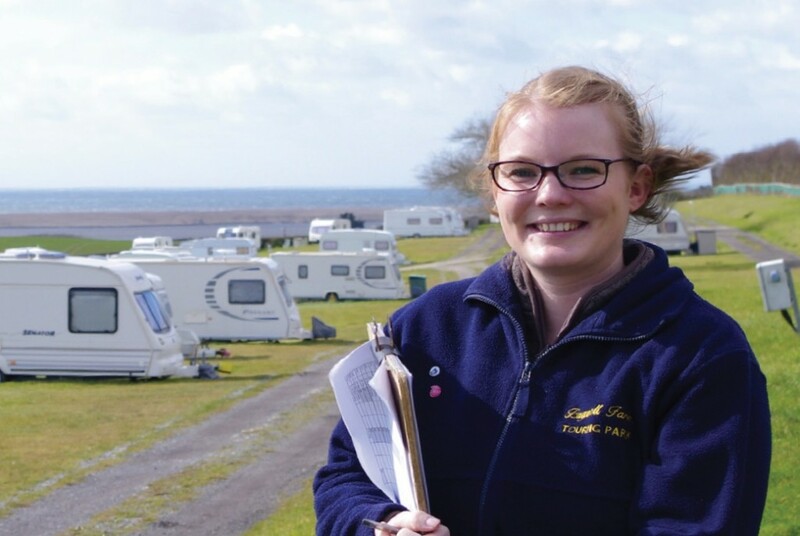 In her final year of a Foundation Degree in Tourism Park Management, Chrissy Guppy started her career as a kitchen runner in the bar and grill at Bagwell Farm as a summer job. With the restriction in term-time holidays, we have noticed a significant drop in the number of grandparents bringing children for long weekends or longer breaks. How are visitor expectations changing and how are you reacting to those demands? Electric hook-up for tents have gone from an unusual luxury to a must-have item. We are expanding the number of fully-serviced pitches to keep up with customer demand. Customer service. You could go to a beautifully landscaped, clean site with great facilities, but if the customer service isn’t up to scratch chances are you won’t want to return. What has been your most interesting experience in the industry? Probably my first day in the job. I attended the National Caravan and Motorhome Show at the NEC which really threw me in head first! Being able to see all the different aspects under one roof provided a great insight into the industry and really showed me the huge potential it offered. Other than exploring other areas of Dorset, I’ve a real soft spot for Cornwall. I recently got to visit the Lake District and also Scotland as part of my degree and I would love to go back to see more of the stunning landscape. We’re pleased to support a local charity called Hanger’s Heroes, which raises funds for small local charities who may struggle to gain enough funding on their own. Each year our staff members take part in the marathon to boost fundraising. This year will be my third year taking part and I’m hoping to top last year’s fundraising total!